With so much time spent sleeping on a mattress, it is important to look for a quality mattress that will safely support your infant into his/her growing stages. 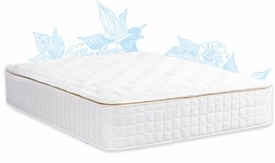 Selecting a mattress of quality is an important choice for any parent. 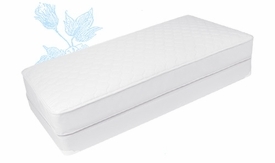 We offer both organic and non organic mattress options providing a safe, luxurious and comfortable sleeping environment. BabyBox.com offers several kinds of crib mattresses that are safe, comfortable and durable for your little one's crib. 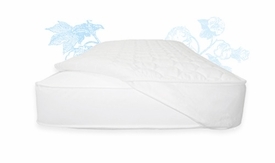 Our featured brand is Naturepedic, the leading organic mattress company. 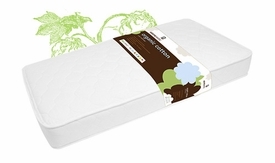 A natural and organic baby crib mattress is the first step toward a healthy crib environment for your baby. Crib safety goes beyond wood and bolts. It requires a natural and non-toxic crib mattress as well. Most cribs and crib mattresses are made in standard sizes these days, so the mattress size shouldn't be an issue. Occasionally you may find that a mattress doesn't fit well with a certain crib, so checking the dimensions may be necessary. The mattress should fit fairly tight inside the crib. Custom mattress can be made as well, please call and inquire. 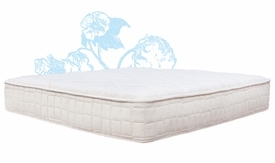 Our specialty mattresses are an excellent way to get your infant off to a good start. We also offer terrific crib sheets available in cotton and organics to provide a soft surface and decorative touch!